This learn to skate course is focused on young skaters under 5 years of age. 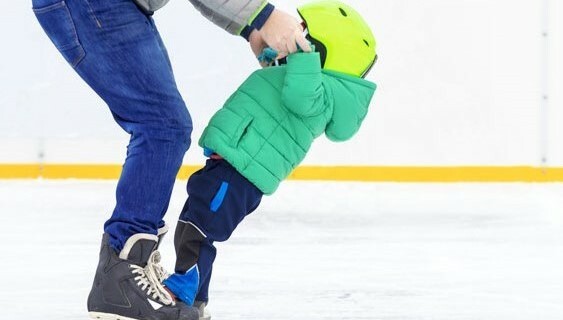 The lesson is led by an experienced coach, basic skating skills and fun activities take place both on and off the ice to ensure toddlers learn how to skate in a fun and safe environment. The young skater is rewarded with a range of penguin club certificates to celebrate their success! The Learn to Ice Penguin lessons consists of 5 levels, and each level is made up of smaller sections, which help form the building blocks of skating skills. The young skater will quickly become familiar with the Skate Excellence lesson format, and once they have completed all the levels of the Ice Penguin Syllabus, they can progress with ease onto the Skate Excellence Learn to Skate level 1 lesson. You can save money on selected courses when you sign up to the annual membership scheme. For more information about the Planet Ice membership, please click the button below.